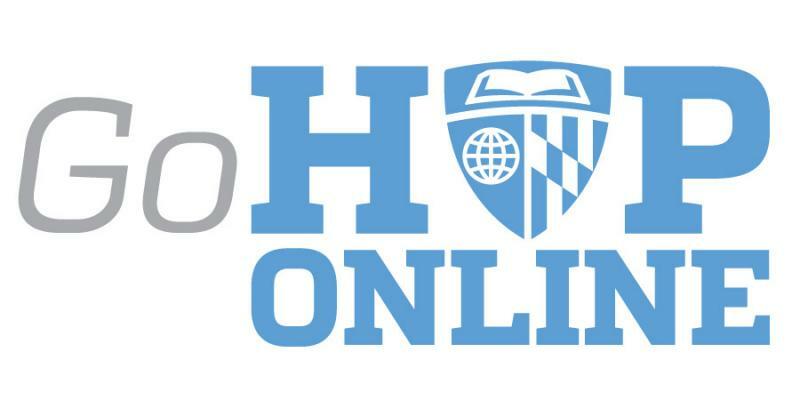 Connect with Johns Hopkins alumni online with these resources. GoHopOnline.com is a web-based networking platform dedicated to helping Johns Hopkins alumni connect online with former classmates and like-minded graduates; mentor and coach current students and recent graduates; and expand career connections through insider contacts in top companies. GoHopOnline.com is a secure space that links alumni with the trusted Johns Hopkins University community. Easy sign-on and sync up with Facebook and LinkedIn lets them quickly connect with the people they need to grow and refine their personal and professional networks. Instagram and Twitter feeds keep alumni updated on Hopkins news, chapters, resources, programs, and more. Activate a profile today at GoHopOnlne.com. View Class Notes shared by your fellow JHU alumni or share your own personal and professional news with a Class Note in Johns Hopkins Magazine. Social sharing is everywhere, within and beyond Hopkins. Connect with fellow JHU alumni through various social media channels. Read the latest thoughts and observations from the Johns Hopkins Alumni Association President's regularly updated blog. At the Hub, you might read about cutting-edge cancer research or deep-trench diving vehicles or bionic arms. About the psychology of hoarders or the delicate work of restoring ancient manuscripts or the mad motor-skills brilliance of a guy who can solve a Rubik's Cube in under eight seconds. There's no telling what you'll find on the Hub because there's no way of knowing what Johns Hopkins will do next. But when it happens, the Hub is where you'll find it. Published four times a year, Johns Hopkins Magazine was conceived in 1950 to give readers intellectual nourishment, and over the years has featured thought-provoking and sometimes controversial articles on topics ranging from particle physics to student unrest. View the most recent issue online or submit a class note today. Stay connected with Johns Hopkins University wherever you are. Find out how to get around campus, take a self-guided tour, stay up to date with the latest news, keep tabs on Blue Jay sports and more. It's Johns Hopkins University in the palm of your hand! GoHopOnline allows you to both re-connect with old classmates as well as enabling you to utilize the trusted Johns Hopkins University environment to expand your professional network. Click here to download.